A reminder of just how huge the FIFA franchise is: Marvel’s Spider-Man was forced to settle for second position in the European PlayStation Store charts for September. 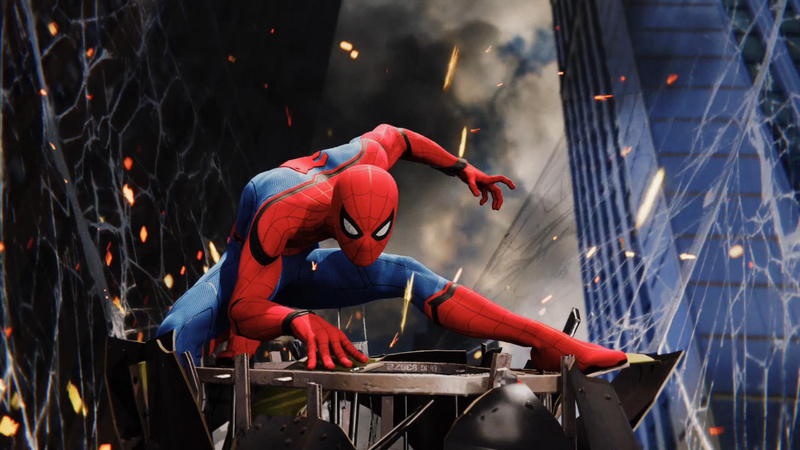 The web-slinger came out on top in North America, where he fought off tough competition from NBA 2K19 and EA Sports’ aforementioned soccer sim. They don’t even like football in the United States, and the series still makes bank! Destiny 2 charted in fifth in North America, but couldn’t make the Top 20 in Europe – although the Forsaken expansion pack did chart behind Fortnite in the DLC category. Life Is Strange 2 just about squeezed into the software best-sellers list in the Old World, while Firewall Zero Hour topped the PSVR category on both sides of the pond. Shadow of the Tomb Raider entered in fifth and ninth position in Europe and North America respectively. You can peruse the full charts for Europe and North America through the respective links. What have you been buying from the PS Store recently? Let us know in the comments section below. No way Parker can beat Ronaldo. He's not superman, you know. @Kidfried that must have annoyed DC like crazy back in the day, having Aunt May (a Marvel character) refer to their character. The last game I bought is guacamelee 2 and castlevania collection ps4, I want to plat spidey and gow first before buying another AAA $60 games. @Turismo4GT DC Marvel Cinematic Universe. We love football here in the States. Real football, not that silly thing called soccer.